Darling St Chapel C.1879 is a Intimate Unique combined Wedding Chapel and Reception Venue. Our personalised and comprehensive packages to eliminate the hassle associated with planning your wedding. Darling St Chapel C.1879 is Ipswich’s only combined Wedding Chapel and Reception Venue. We also hold Funerals and Wakes, High Tea’s and Corporate functions. At Darling St Chapel we provide a unique experience as we transform your beautiful Chapel into your elegant Reception Venue. You will be surprised by the uniqueness of our venue and the affordability of our packages. Worked by dedicated owners who want your day to be as special and unique as our venue is. 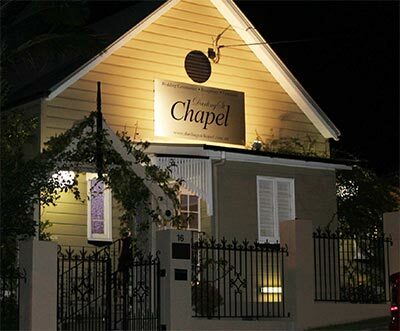 Darling St Chapel offers a beautiful and elegant non-denominal Ceremony Venue. Our stained glassed windows, tiffany style chairs all in air conditioned comfort makes Darling St Chapel a wonderful setting for both Weddings and Funerals that are small and intimate. We seat up to 110 people comfortably for a sit down dinner or 150 people cocktail style function. We strive to make it as personal and special as you would want it to be, and an event that you will always remember. Simple or elaborate? It’s entirely up to you. 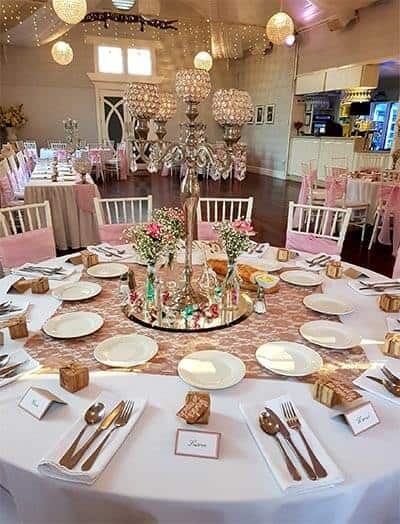 Watch in amazement as our staff easily transform Darling St Chapel into your Reception venue or for couples with their own ceremony location Darling St Chapel offers a stunning Reception Venue with elegant crystal chandeliers and mood lighting in a historic church like setting. Our personalised and comprehensive package options are designed to eliminate all of the hassle associated with planning your wedding. Including choice of marriage celebrants, cake designer, extensive menu choices from our buffet or alternate drop options, an In-House professional Disc Jockey and sound system, elegant table centre pieces, tiffany wedding chairs, choice of sash colours and more, Darling St Chapel Reception packages help make your wedding day enjoyable and stress free.